Did we mention that everything is 30% off? 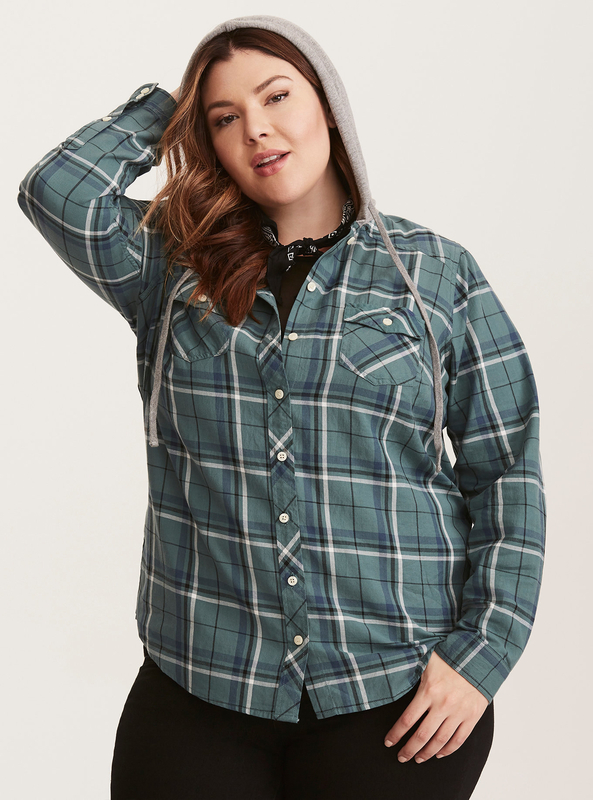 Torrid is currently having a friends and family sale and *EVERYTHING* is 30% off. No promo code needed. And if you're an insider, you'll get 3x points! 1. High-rise black skinny jeans with the perfect amount of stretch. AND they have great retention — these jeans are stretchy, but they won't lose their shape. Price: $52.43 (originally $74.90). Sizes: 10-30. Also available in regular, tall, short, extra tall, and extra short inseams. 2. A flutter-sleeve number guaranteed to become your next LBMD: Little Black Maxi Dress. 3. An ultra soft, ultra comfy demi bra with memory foam shaping cups. Swoon. 4. Over-the-knee boots in a classic cognac color that will never go out of style. T-Swift said it first. Price: $59.43 (originally $84.90). Sizes: 6W-13W. Available in regular and wide calf inseams. 5. 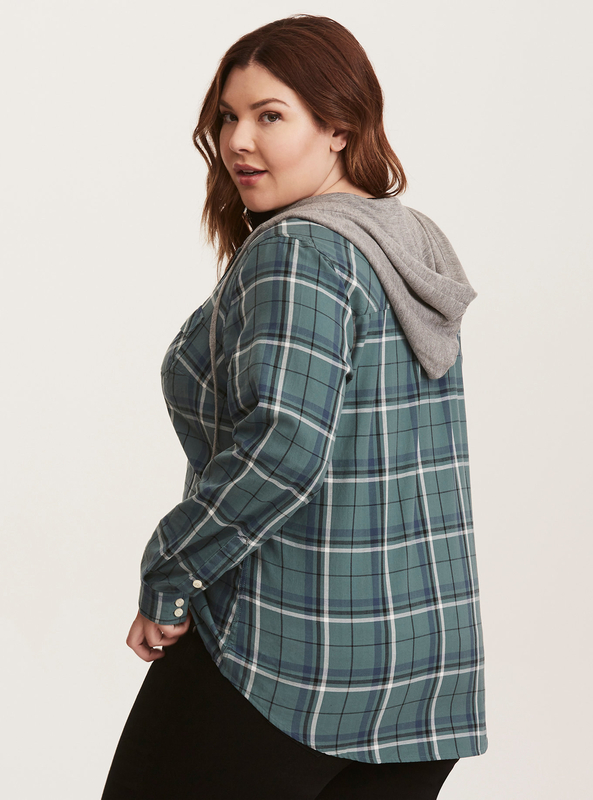 A hooded plaid shirt perfect for apple picking trips, haunted hayrides, pumpkin patch hopping, etc. 6. A babydoll top with a serious attitude problem. It's constantly giving me the cold shoulder. 7. A wrap skirt you'll want to twirl around in all day long. Let's all say hello to this gorgeous rust orange color, BTW. 8. A cozy knit hoodie you'll probably live in for the next 705 years. Very understandable. 9. A tie-dye sports bra perfect for both high-energy workouts and lazy days spent lounging. 10. A swing coat to prepare for the cha-cha-changing season and the chilly months ahead. 11. Block heels you'll probably wear on the daily. These bad boys can go with any outfit. 13. A Hogwarts crew tee to let you show school pride in your alma mater. 14. A beet red military-inspired jacket that'll add the perfect pop of color to any ensemble. 15. 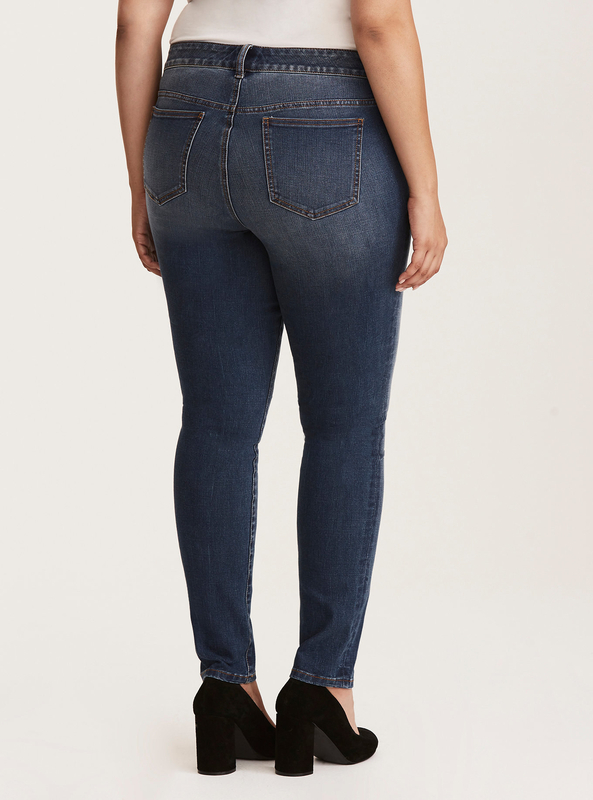 Mid-rise skinny jeans in a classic blue wash you'll never get tired of. Ever. Price: $55.23 (originally $78.90). Sizes: 10-30. Also available in regular, tall, short, extra tall, and extra short inseams. 16. A floral print chiffon dress designed to make you feel like a beautiful walking garden. 17. A Pink Floyd raglan tee that is seriously off...The Wall. Wink. 18. A striped maxi dress made from jersey knit AKA it's super comfortable and soft. 19. A strappy lace bralette that your breast friends will absolutely love. 20. An anorak jacket with hand-beaded embellishments that you'll want to layer over any outfit. 21. A Harley Quinn skater dress you'll definitely want to order in preparation for Halloween, puddin'. 22. A mesh top with beautiful floral embroidery and mesh sleeves that you've already added to your shopping cart. 23. Galaxy print leggings so pretty and stretchy, you'll want to travel across the universe in 'em.